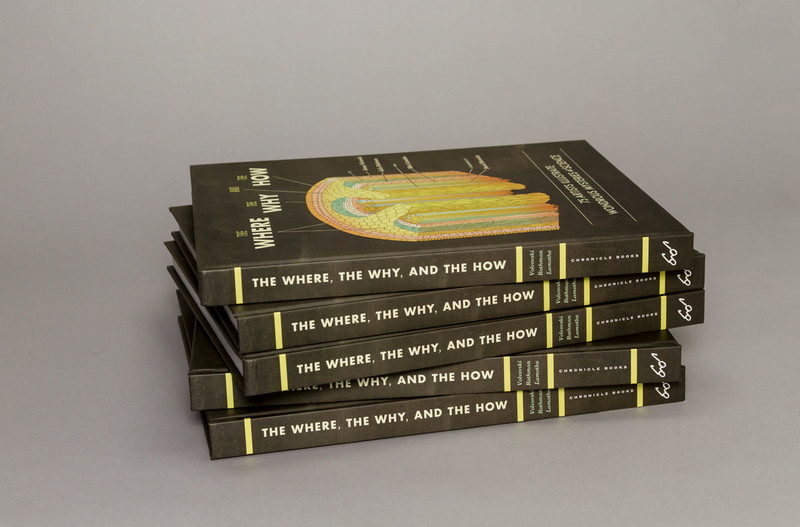 The Where, The Why and The How is our brainchild. 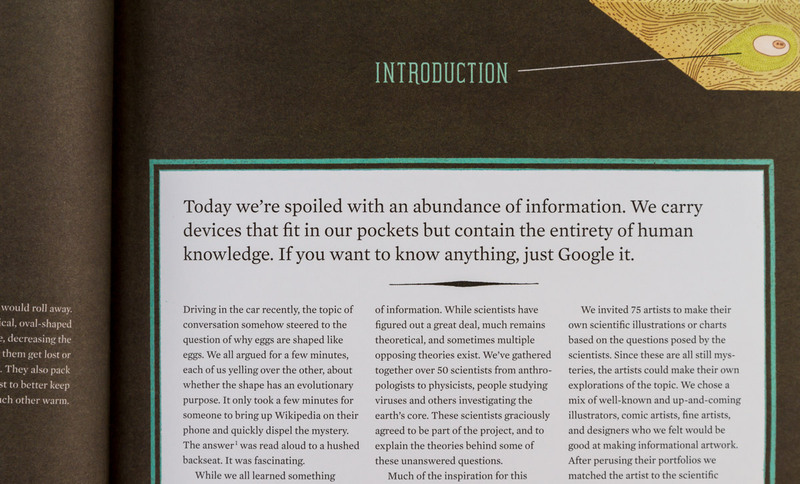 We’ve always been interested in science, especially the mysteries which science can’t (currently) explain. 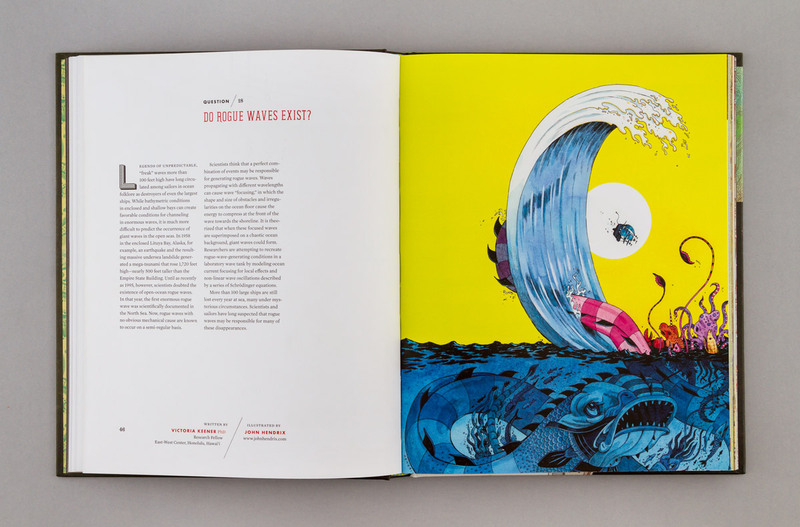 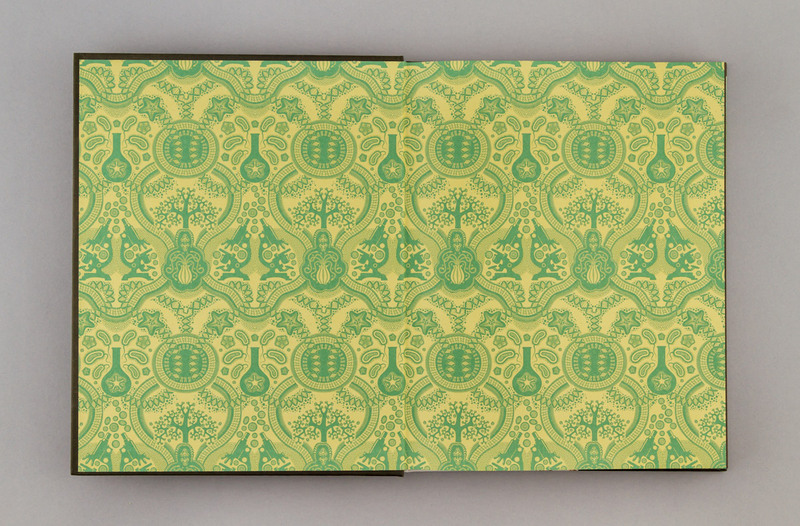 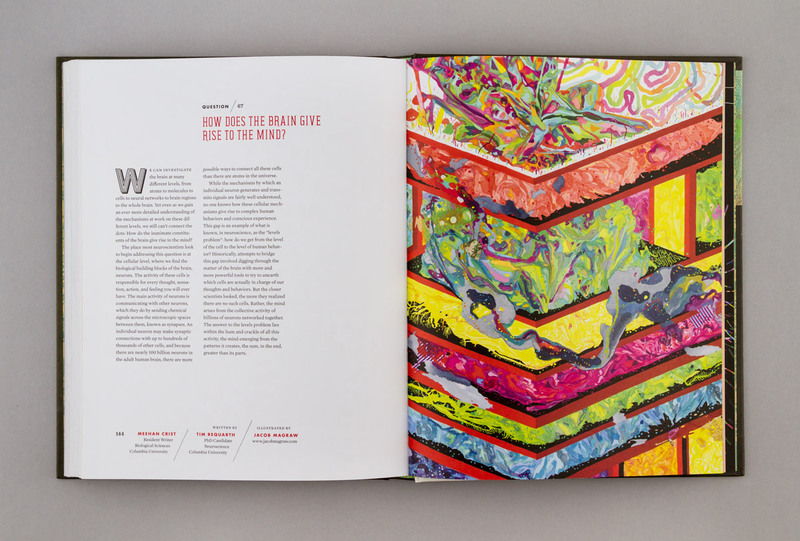 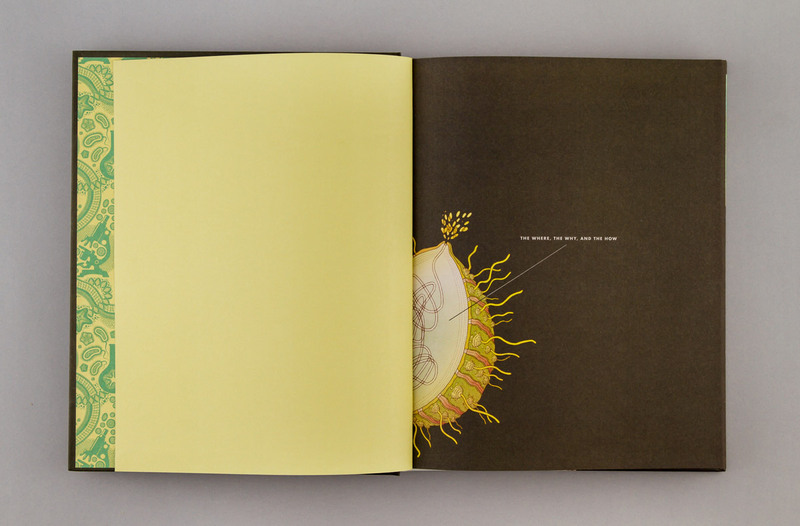 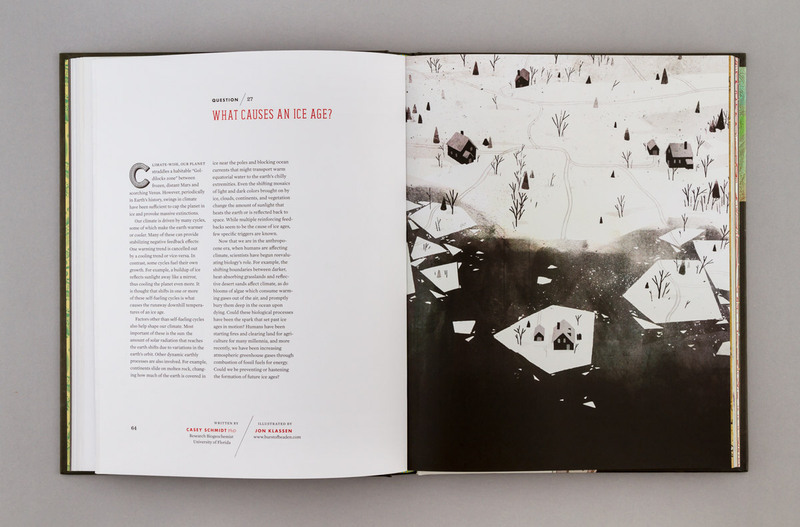 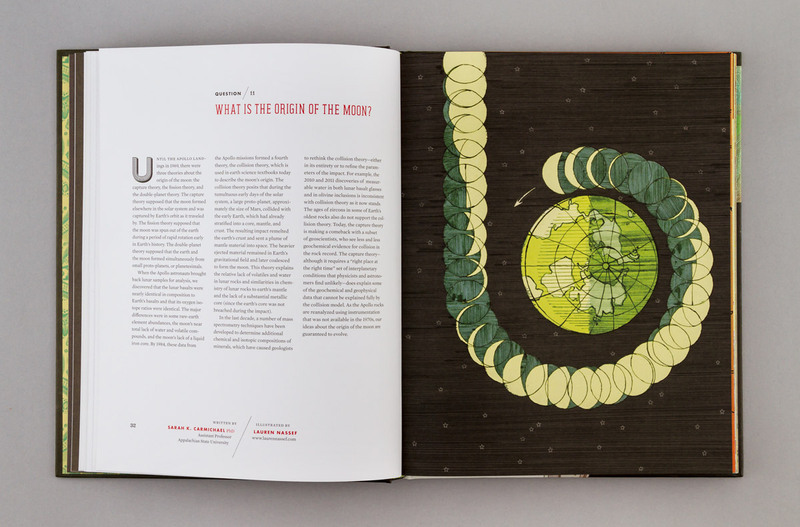 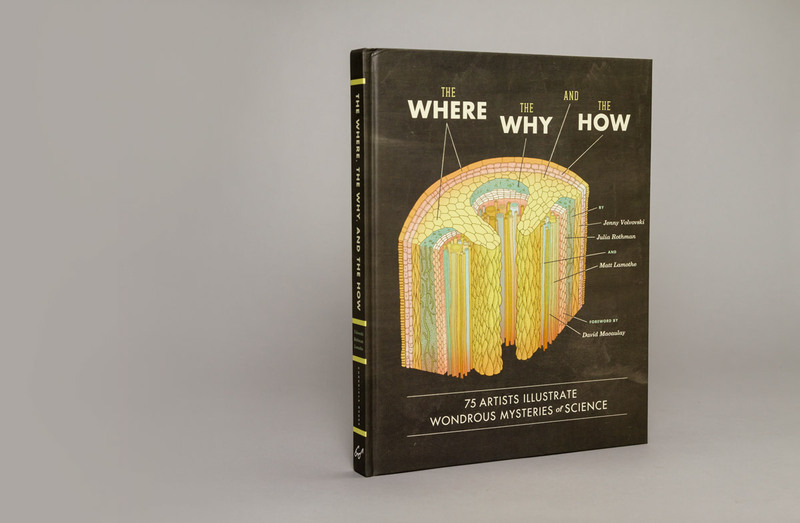 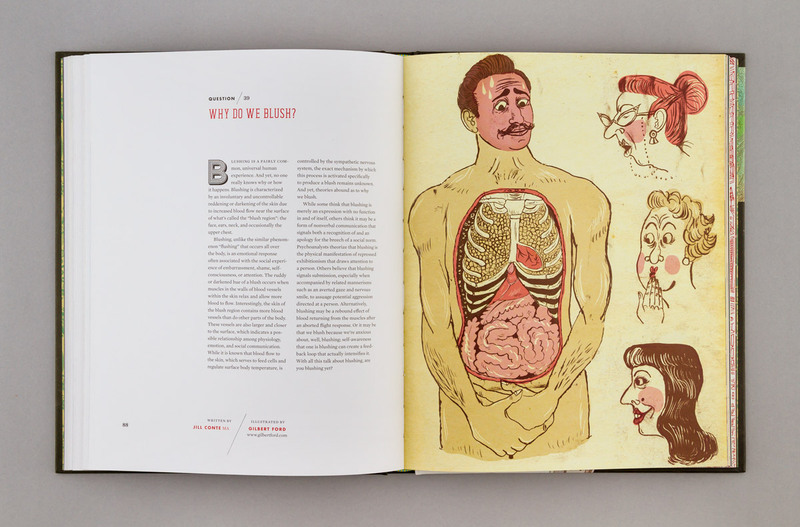 We came up with 75 unanswered questions, found scientists from a variety of fields to answer them to the best of their abilities, and paired them with contemporary artists, designers, and illustrators who were tasked with creating original artwork that illustrated the answer. 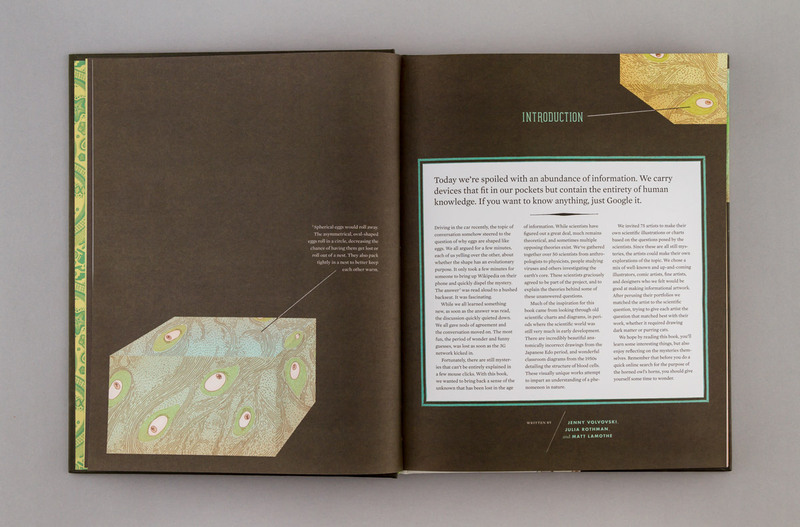 We designed the entire book, created the faux-scientific illustrations (for the cover and interior pages) and produced a book trailer.